Children often don’t realize risks or consequences. Children are our future, as we were to our previous generations, and although we can’t protect them at every turn, we can teach them how to be as safe as possible in life – and hope for the best. Because children have boundless energy, coupled with lack of life experience, an accident that could cause a concussion really can’t be foreseen – and many times they can’t be avoided. You could be a 24-7 “helicopter parent” that sleeps with one eye open, or you can do your very best to teach your children the most important safety rules in life. Let’s face it, we’ve all learned things the hard way, and those things stay with us to this day…things like “don’t hold the edge of the car door when you’re closing it” or as simple as “don’t run on pavement – especially in flip-flops. The point of this introduction is this: Yes, accidents do happen, yes, we do learn from them, and sometimes accidents happen that are far beyond our control. Accidents can happen in the blink of an eye. A classic example: my daughters were always the shortest among their peers, and my youngest daughter was the most athletic of the three. One day while running on her school playground, she passed under the sliding board at precisely the worst possible time. The largest boy on the playground (about twice her size) was jumping off the top of the sliding board, and landed squarely on her head & shoulders as she was passing under it, and she never knew what hit her. The impact bent her back so far forward that it compressed a portion of one of her spinal discs, and luckily she wasn’t paralyzed. She wore a body cast for several months, and is now in her early 20s, and serving in the military. She’s one of the lucky ones. When an accident comes at you full-force in life, there’s not always a “Plan B.” Sometimes, life happens, and accidents bring much more serious consequences. This is where our discussion of concussion in children comes into full play. Kids can be little daredevils. It’s widely known that boys tend to have way more head injuries than girls, basically due to the usual suspects: football, soccer, falls, attempting stunts, etc. Of course, girls are highly susceptible as well in many of the same activities, but let’s face the facts…boys can be daredevils more often than not! The fact that brains of a child are still in formation also plays into the need for protection from concussions, and traumatic brain injuries – it’s never a good time to have a head injury, but especially when you’re young. The brain itself can have damage, but has no feeling, so it cannot be the source of pain that is actually felt. A doctor’s evaluation will come through properly looking at all the issues from a logical and neutral perspective, seeking only to answer specific questions. The major questions your doctor may ask about a headache can be expressed in the acronym: COLDER. Dr. Zasler explains various causes and types of headaches after a concussion, brain injury, head trauma or neck injury – and options for treatment, along with tips for talking with your doctor about headaches after trauma. For more information about headaches after head trauma, see the tip card titled: Post Traumatic Headache, by Nathan Zasler, M.D. For small children, always use a car seat that is most appropriate for their size, and install it in the vehicle correctly. Although wearing a helmet cannot prevent a concussion, make sure your child wears one that’s suitable for their activity, such as biking, batting in baseball, specific sports, etc. – doing so will keep them as safe as possible. that could result in a concussion (or even more serious injuries). Supervise them when they’re on playground equipment – and teach them how to watch out for swings, how to safely climb, and even the best way to use a sliding board…sounds simple, right? Many kids just go on their own, and learn the hard way. Avoid leaving ladders up when working around the house, and make sure that kids can’t get access to the roof through unlocked windows. Be careful to keep an eye on storage areas (basement, garage, shed, etc) where heavy objects could be stored overhead…curious kids can get quite a rap on the head from trying to get a can of paint, etc. down from a shelf out of curiosity. There are so many other ways a child can get hurt, but these are the most likely ones to start with. You can’t have your kids wearing helmets everywhere they go! When they’re older, a teen could easily walk head-first into a sign pole while texting, for instance. Teaching them to be aware of their surroundings from a young age can make a huge difference in their approach to overall safety as they grow into adults. Concussions happen, even with a helmet. In sports-related incidents where a child has hit their head, there is usually no loss of consciousness when a concussion occurs. If it happens, it’s usually rather brief. Although a child may not lose consciousness, the brain could still have been injured. Never assume that they’re fine! Any injury to your child’s head/face could be potentially dangerous. The first 24 hours after the injury are vital to determining how serious the injury may be. ✓ Do not leave your child alone for long. ✓ Use only Tylenol or acetaminophen for headaches. ✓ Avoid excessive eating and drinking. ✓ Avoid bright, loud and noisy environments. ✓ Be very aware of negative changes; any sign or symptom that has gotten worse needs immediate medical attention. ✓ Mental and visual rest is as equally important as physical rest. Reduce the amount of reading and electronic devices activity for several days. Always check with your physician before giving any medication to your child. It is important for you to keep a close watch on your child if there is any possibility of a concussion. As with all types of brain injuries, always seek professional advice first, but for followup treatments for cognition, communication challenges, changes in thinking and learning, emotions, and behaviors at home or school…Lash & Associates has a lot of helpful products to guide you on your journey to recovery! Be safe, and have a great summer of fun activities with your child, and be a safe adult, too! 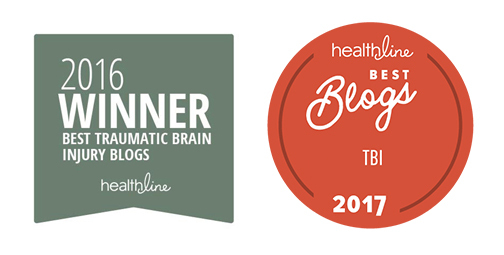 Lash and Associates’ award winning blog site (on our website) offers hundreds of absolutely free blog articles by TBI experts and clinicians, TBI survivors, and family members that share insights as well. A well-rounded offering of insights from every possible angle – including more on the subject of today’s bulletin – loss of self. Lash & Associates is also a leading publisher of books, cognitive software, and more – all for the brain injury community. Just click the two award icons, or CLICK HERE to see our entire blog article collection! • All About Me! – by Roberta DePompei, Ph.D. and Bob Cluett, A.D.
Sign up to receive the Brain Injury Journey Bulletin via email every month – it’s free, and you can share this link with your friends, too! Just click the link below to receive the bulletin in your inbox each month! Sign up to receive a free catalog, along with a Tip Card of your choice! 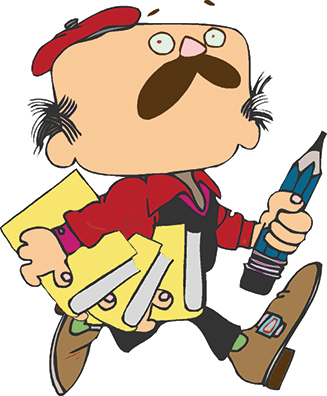 For a wide array of blog articles/posts, please check out all of our subject categories. Click this link to see all of our blogs! You’ll find our monthly specials HERE! Follow the link for big savings on these Lash products! This Brain Injury Journey Bulletin is intended to offer encouragement and support for TBI Survivors and Caregivers, Clinicians, Friends and Family, and more! We hope that you find it informative and helpful.